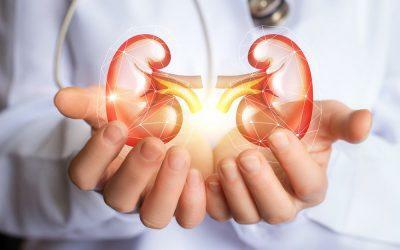 Results from the phase 3 CREDENCE (Canagliflozin and Renal Events in Diabetes with Established Nephropathy Clinical Evaluation) clinical trial indicate Janssen Pharmaceutical Companies’ SGLT2 inhibitor drug canagliflozin (brand name Invokana) can help slow or prevent kidney disease. Diabetes is the leading cause of kidney disease (which affects about 1 out of every 4 adults with diabetes), according to the National Institute of Diabetes and Digestive and Kidney Disease (NIDDK). Published in the New England Journal of Medicine (NEJM), the trial looked at 13,000 people worldwide with Type 2 diabetes and chronic kidney disease. The participants were assigned to receive either Invokana or placebo (inactive) pills. The study was stopped early by independent monitors after it became clear that Invokana was helping — people taking the medicine had a 30 percent lower risk of “kidney failure, need for dialysis, need for a kidney transplant, death from kidney- or heart-related causes, or other signs that kidneys were failing.” The researchers estimated that there would be 47 fewer causes of these issues for every 1,000 people taking the medicine for 2.5 years. Rates of serious side effects were similar between the active and placebo groups. The importance of the study “cannot be overstated,” according to Drs. Julie Ingelfinger and Clifford Rosen, NEJM editors.